Do you feel like giving a change of air to your home? Well, it is best that you get abreast of trends in interior decoration 2017. 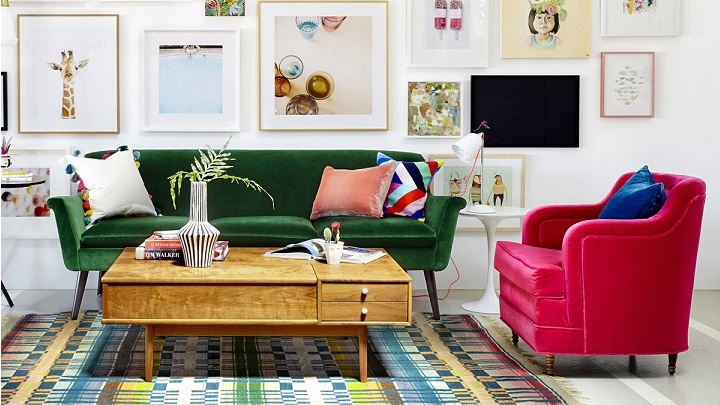 In this way, you will know what to do to have a fashion house and what you can find in specialty stores in decoration And furniture. As you could have imagined, today we will review the styles, colors, materials and textures that will reign in 2017 and, in some cases, during the following years. You see, some of the holdings and we have seen in previous seasons, but they have been so successful that no household will disappear in a long time. This is the case of Nordic ethyl, which is triumphing in half the world. Would you like to join us? How could it be otherwise, let’s start talking about the Nordic style. In recent years it has had much prominence, especially because of the importance of IKEA in almost everyone. And it is not to be forgotten that most of the designs offered by the Swedish giant are framed in this style. 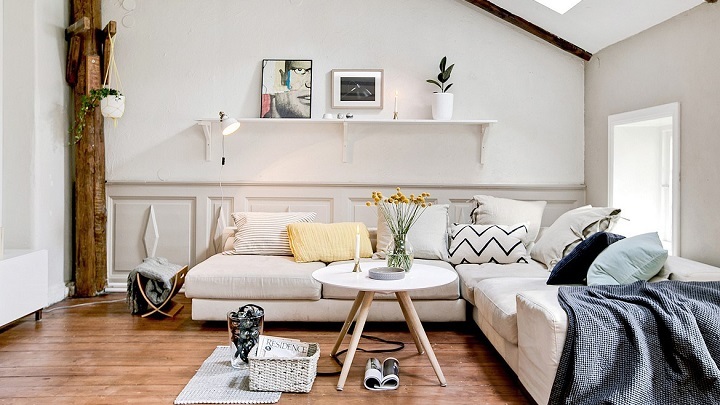 If you’re willing to turn your home into a typically Scandinavian housing. Of course, you should know that there are other styles that will also triumph in 2017. One of them is the rustic, especially combined with modern elements. In addition, although it will have less force than in previous years, the decor vintage will remain current. Of course, ideally you mix retro elements with more modern ones. 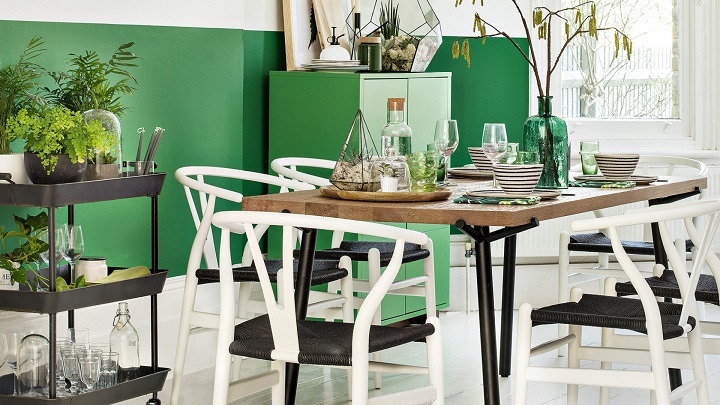 Although green is not one of the colors most used in decoration, this year will have much prominence. In fact, Pantone has chosen Greenery as the color of the year 2017. If you want to introduce it to your home, what we recommend is that you do it through the accessories and decorative objects. So, if it is out of fashion, something that will surely happen soon, it will not cost you to disappear. Other colors that role will be the blue, especially the dark, above all we will see in sofas and accent walls. Of course, you will be able to continue betting on the neutral tones and, especially, the white and the gray that, although never out of fashion, this year they will be more present than ever. And during the warmest time of the year, do not hesitate to use daring colors. As in previous years, the star material of 2017 is wood, especially untreated. In addition, the furniture in clear woods, whether natural or synthetic, will remain very fashionable. And although they will not be as easy to use as wood, marble and cork will also gain prominence. As for floor and wall coverings, terracotta tiles and small tiles, besides they are carried brick and cement in industrial environments style. It is also important that you keep in mind that during the next months will also gain prominence the wallpaper and, especially, the artistic. As for the tissues, above all they will take the natural textures. Special mention should be made of the velvet, which will especially be present on sofas. On the other hand, you should know that this year will have much prominence in the furniture market such as tables of industrial style or auxiliaries with details in metallic finishes. We must emphasize the copper, which has already made an appearance in 2016. Over the coming months we will continue seeing in decorative objects and especially lamps. On the other hand, we want to comment that the stamped protagonists of 2017 will remain the geometric ones.